First Floor 673 sq. 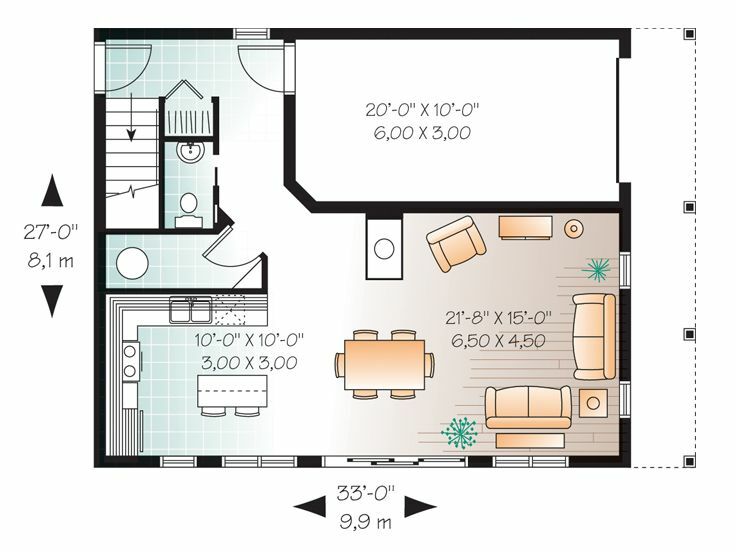 ft.
Second Floor 863 sq. 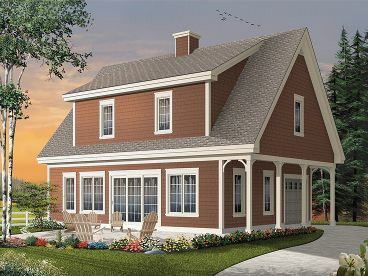 ft.
Just right for a temporary residence while you are building your primary home, a vacation retreat or just extra living space on your property, this 1-car garage apartment plan has plenty to offer. The exterior delivers relaxed country charm while the interior reveals practicality and comfort. 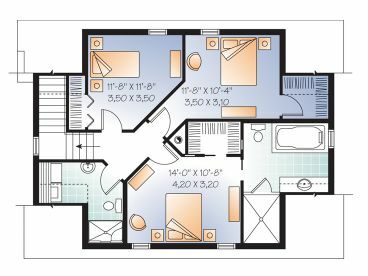 The main level features a 1-car garage with 218 square feet of unfinished parking as well and 673 square feet of living space. 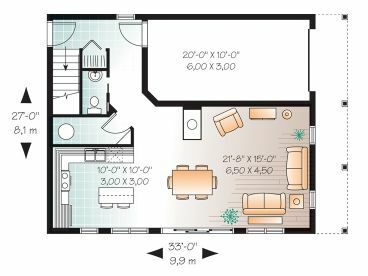 The living areas consist of and modest island kitchen with snack bar that connects with the combined living and dining area. Windows afford views of the surrounding landscape and sliding doors open to the outdoors, just right of a patio or deck. A half bath completes the main level. Interior stairs lead the way to the 863 square foot second floor where three bedrooms indulge in peace and quiet. 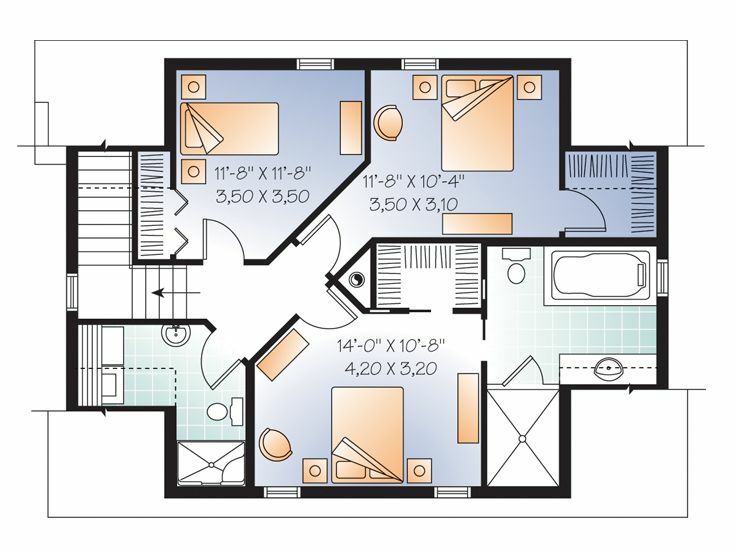 Two smaller bedrooms offer ample closet space and access a full bath equipped with laundry facilities. The master bedroom features a walk-in closet and deluxe bath compete with soaking tub and separate shower. 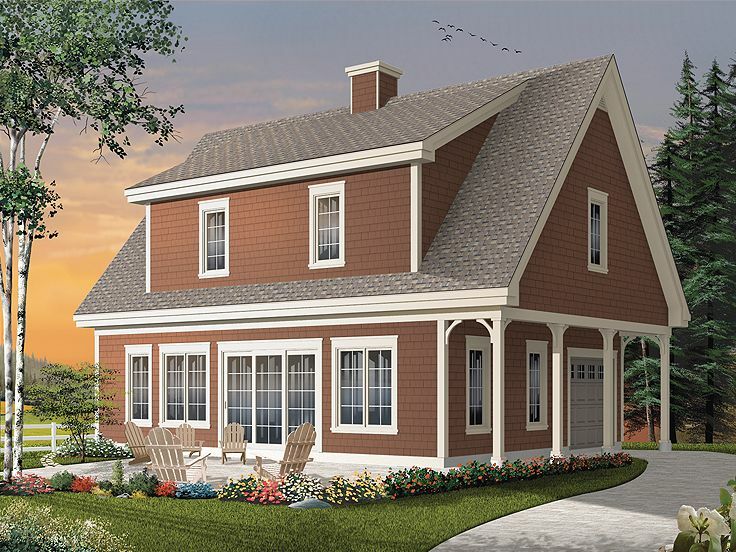 Perfect for a weekend getaway for the family or extra living space for boomerang kids and grandkids, this carriage house plan is second to none!